WODs > The Heroes > Joseph Rivelli Jr.
Add a video for "Joseph Rivelli Jr."
This Firefighter Hero WOD is dedicated to Joseph Rivelli Jr., FDNY, Ladder 25, who was killed on September 11, 2001. Joseph Rivelli Jr. had whittled down his career choices early in life. The kids in his neighborhood conjured up fires, people in danger and criminals who needed to be incarcerated, all so that Rivelli could come to the rescue. "His dream was to be a firefighter," his sister, Donna Giorgio, said. "We played cops and firemen. When we were kids we always had to pretend there was a fire so he could put them out. . . . There's even a picture of him pushing me on a fire truck." The New York City firefighter was last seen with his entire ladder company, Ladder Co. 25 in midtown Manhattan, as he was going up in an elevator to rescue people in the Twin Towers. 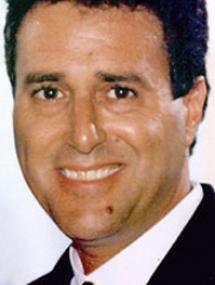 Rivelli, 43, of Inwood, was a caring husband, father, brother and son, his sister said. A good kid, she said, the apple of his father's eye. He was a jokester who went out of his way to do things for people. For those he left behind, remembering the small things he did in the routine of life can be unbearable. The hugs and kisses came first when Rivelli got home, said his wife, Cheryl. He loved his two stepchildren, Phylicia Ruggieri, 15, and Christopher Ruggieri, 12, as his own. Any young men interested in his stepdaughter had first to contend with him. And he coached his stepson's football team. When Rivelli proposed one Christmas morning, he promised his wife he would make up for all the bad times. "When this happened, I thought, 'He told me that he would never break my heart,'" his wife said. "But he didn't mean to do this." Rivelli and his sister were close. Only 11 months older, Rivelli never forgot her birthdays. Rivelli was ambitious and had been thinking about life after retirement, which was two years away. He had been taking flying lessons for some time and had planned to become a commercial pilot after retiring. He taught himself about computers, which he often built from scratch. He also had an avid interest in stocks and finance. There was never a time he would end a phone conversation with his father without saying, "I love you," said Joseph Rivelli Sr. His son was a Boy Scout, football player and a quiet, respectful boy who never gave his parents trouble. "About a year ago, he had an accident," his father said. "I said, 'Joe, why don't you take off some time?' But he would never take off time. He just loved his job."